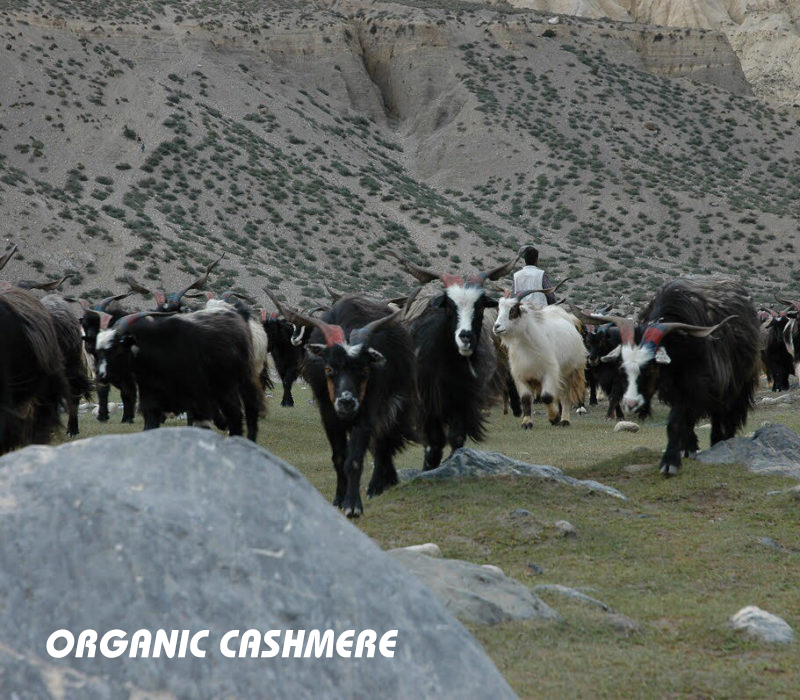 Best cashmere itself known as “Pashmina”. It is the softest, exotically delicate, & weightless and the finest natural insulating fiber of the world, obtained from domesticated Chyangra goat (capra hircus). This goat is native to Himalayan belt, which is above 10,000 ft. from sea label live on sparse vegetarian found in that altitude. Nature has blessed these goats with thin, soft inner coat of hair, which is the best isolation in the world. 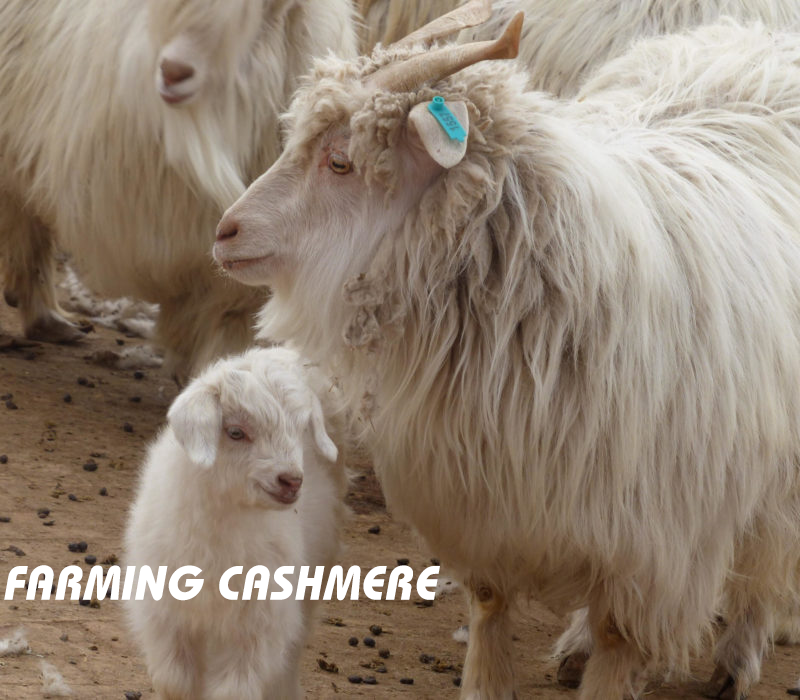 Cashmere fiber is only 12-19 micron thick where as a human hair is about 75 micron thick. The same layer of which coarse dead fiber helps goats to tolerate the heart-chilling temperature of that region. Such wonderful and gossamer properties of “Pashmina” have popularized it as the “Diamond Fiber”. These extraordinary qualities of Pashmina fibers have encouraged weavers to produce various types of wraps for warmness. Pashmina, derived its name from the Persian word, ‘Pashm’, meaning soft gold, is well known for its fineness, warmth, softness, lightweight, elegance and timelessness in fashion. It is also regarded as the king of fibers. Pashmina production and trade has been an important component of our cultural heritage as well as a thriving industry aiding in country’s economy. Pashmina export was once huge and had major British and European markets importing it from Nepal. But as of now we see that the graphs have been declining. Though, there has been slight rise in the export of pashmina after the registration of Nepali trademark ‘Chyangra Pashmina’ has been made in the international market, Nepal has yet to tackle and face limitations as there are countries that has been producing mass silk based pashminas. Demand for pure and quality Pashmina is very high in the international markets but still yet pashmina industries in the country are not being able to utilize quality domestic raw materials and depend in neighboring countries like China for the import of silk, which has been a 30% constituent in making pashmina products. At times like this, pashmina industries have been facing lots of hurdles, such as labor problems, livestock mortality, and power crisis and to top lack of awareness among stakeholders about production system, modern processing and market intelligence. You see lots of pashmina products hanging in shops around Thamel, Kathmandu and Lakeside, Pokhara, where the flow of tourists is huge. Though the pashmina trade is doing quite a stable flow locally, we’ve yet to hit the benchmark, when once pashmina from Nepal were adorned by Queen Elizabeth II and many other international level celebrities and designers promoted Nepali pashmina worldwide. Lots of amends are to be made and strategies are yet to be followed by the government as well as in private sector for improvement in pashmina productions. In an age like today, where employment opportunities are less in the country and many of the youths are forced to travel abroad for job opportunities, pashmina production industries and traders with the help of government of Nepal can make this small industry, huge systematic and bread earner for the people in the urban as well as rural parts of the country. Nepal prides itself in one of the best hand woven pashmina in the world, it is just about time that the opportunities of these industries in international trade and market be seriously considered and taken forward. Chyangra goat “Capra Hircus” of 60 chromosome (2n=60) mt DNA-hyplotype diversity=0.99+_0.02) from the high mountain region or plateau. Fiber fineness: The fiber fineness should be average 15 micron with coefficient of variance (CV) 24%. The course fiber (guard/death hair) should be less the 3%. Fiber Length: The average length of the fiber should be 55-60mm. The presence of cutides and diameter should be uniform and even. Pashmina should have lower crimps than wool. There should be no modulation in the pashmina fiber. The origin of Cashmere/Pashmina dates back to ancient civilization. Those days it was renowned as the “Fiber for royals & emperors.” In Nepal also it has been traced back to the prehistoric times (or the time of Mahabharata). People living in the high mountains discovered the unique and wonderful properties of “Pashmina”. In ancient times “Pashmina” was used in unblended form but later combinations with silk, cotton etc. came in practice. In due course of time and after long years of experience and experiments, Pashmina yarn and silk yarn were combined to get better fiber-strength, durability, color-pleasantness and finish which has now become most popular all over world and recognized as “Nepalese Pashmina”. They developed a very delicate and skillful pashmina extraction method where the goats are not harmed and more fibers can be collected regularly every spring from the same goat for many years. They also learned to spin the fibers into fine yarn and then weave it to get an extraordinarily soft and warm fabric. This exquisite art of weaving was passed on from one generation to another and to the present times as well. The popularity of Pashmina encouraged entrepreneurs for product diversification and as such various kinds of pashmina products like shawls, stoles, blanket, scarves, sweaters, cardigans etc. are developed and marketed. Nepal is famous for hand woven Pashmina products all over the world. This exquisite craftsmanship of Nepalese weavers has established “Nepalese Pashmina” worldwide as the most precious possession. 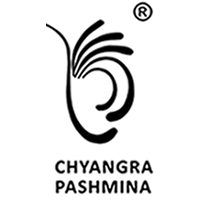 Our products carry the Chyangra Pashmina (CP) collective trademark, which is registered in 43 countries including Japan, USA, CANADA, EU, Australia, China, and etc. The CP trademark assures a quality cashmere (Pashmina) product manufactured to stringent standards in an environment friendly manner and without child labor. This label will be provided by Nepal Pashmina Industries Association (NPIA) only for registered member of Association. Each label has individual tracing number, which can trace so, that there will not be any chances of fraud.